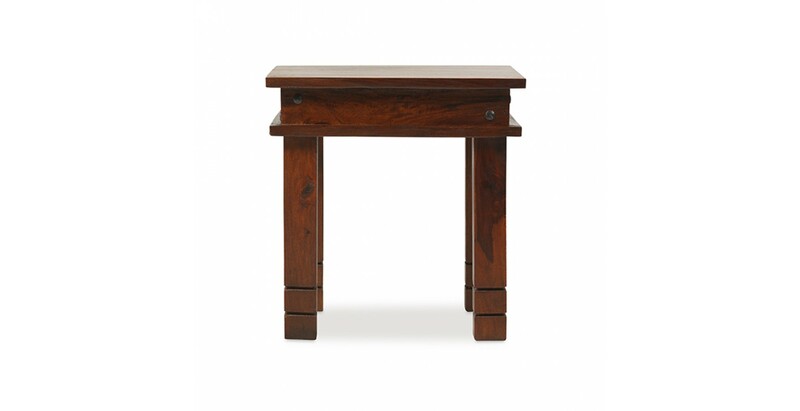 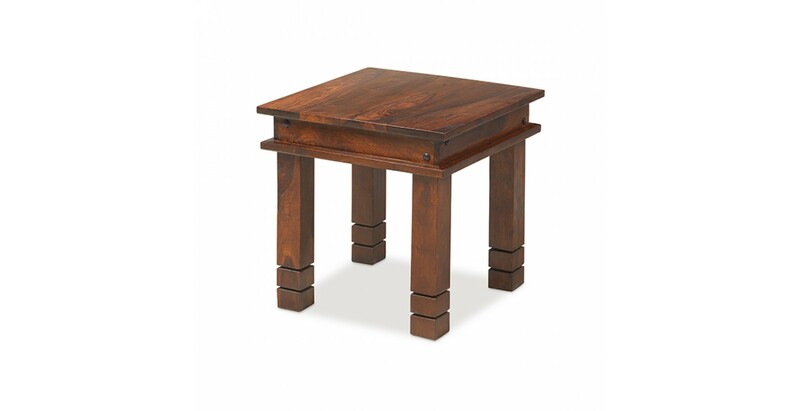 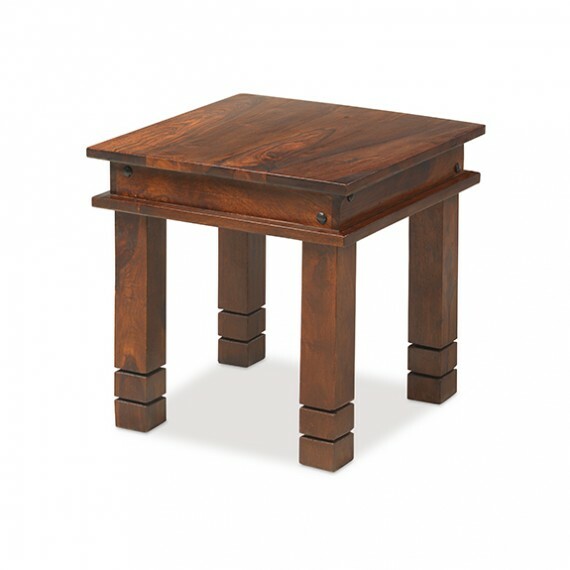 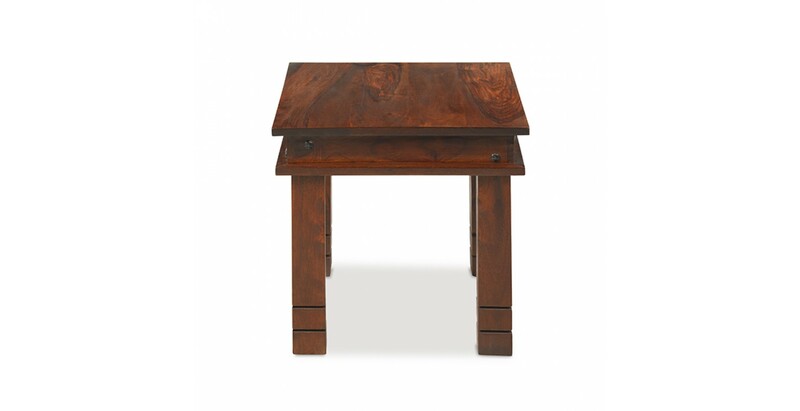 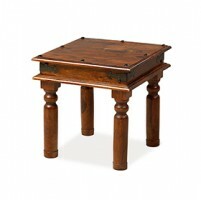 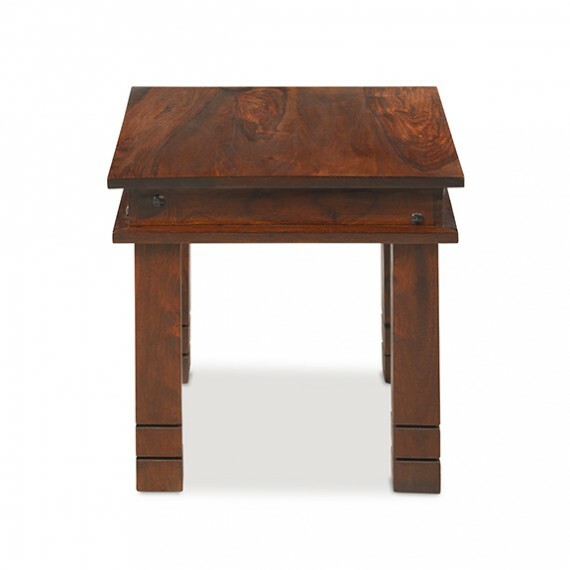 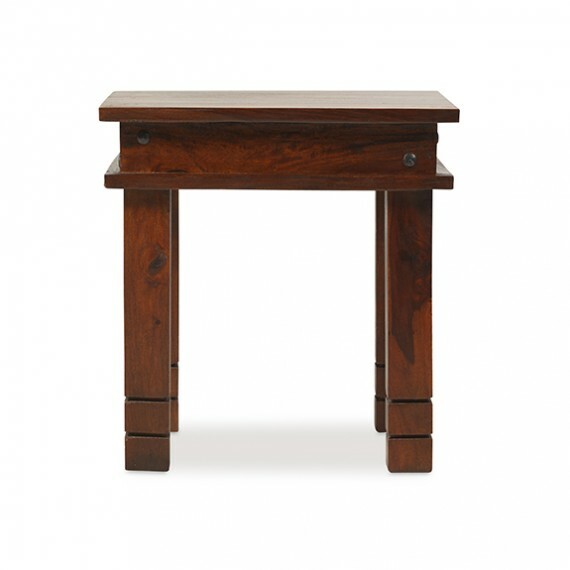 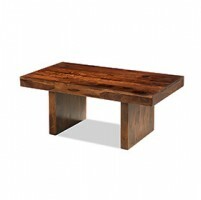 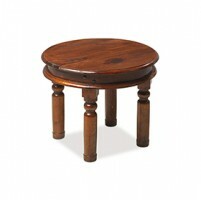 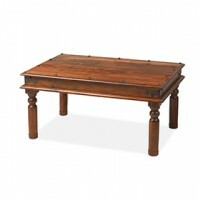 Add a touch of colonial style to your living room with this reassuringly chunky coffee table. 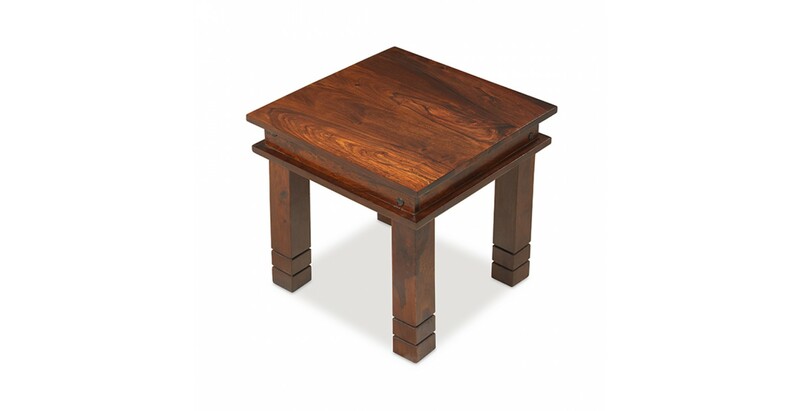 In a square design, it's relatively compact so needn't be in front of your sofa all the time if you only use it occasionally. 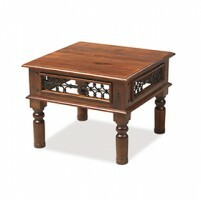 Handcrafted from sheesham wood so it has its own unique character, iron stud work on the recessed edge and attractive routing detail on the square legs add to its exotic charms. 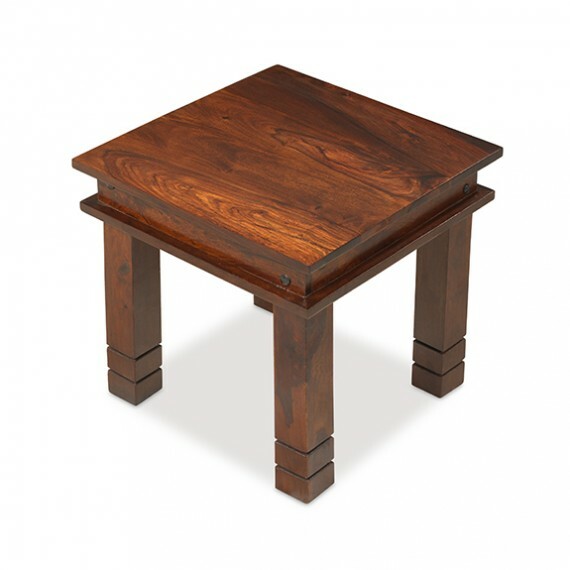 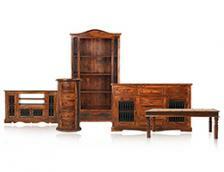 A Wax Lacquer Finish shows the rich grain at its best and keeps it that way long term.